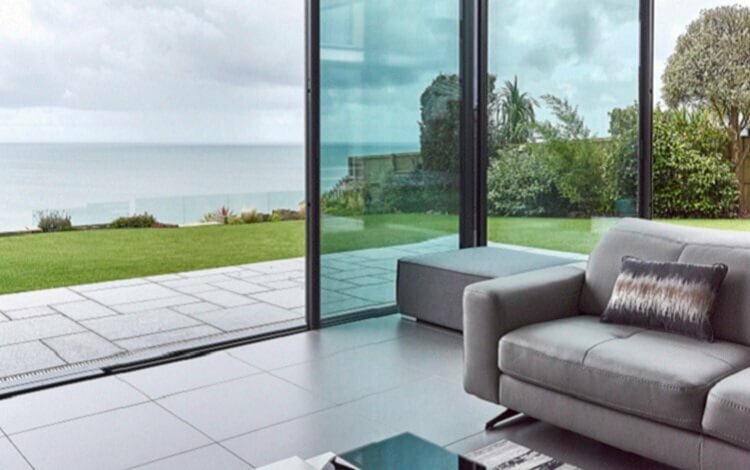 Describing themselves as ‘serial self-builders’, Ann and Wyndham had a strong vision of what their dream home should be – a warm, comfortable and spacious open-plan property with stylish hard flooring throughout, and large glazed areas to make the most of spectacular views of Carmarthen Bay. 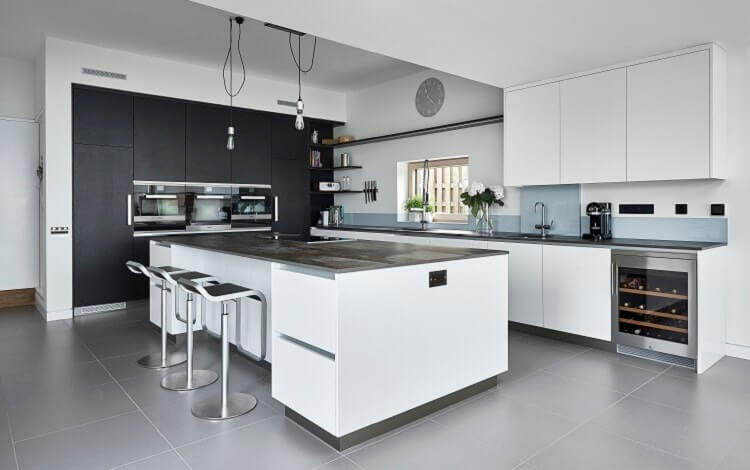 Central to this was a desire to have warm water underfloor heating on the ground and first floors; keeping every area cosy and giving them complete interior design freedom without the restrictions of radiators. 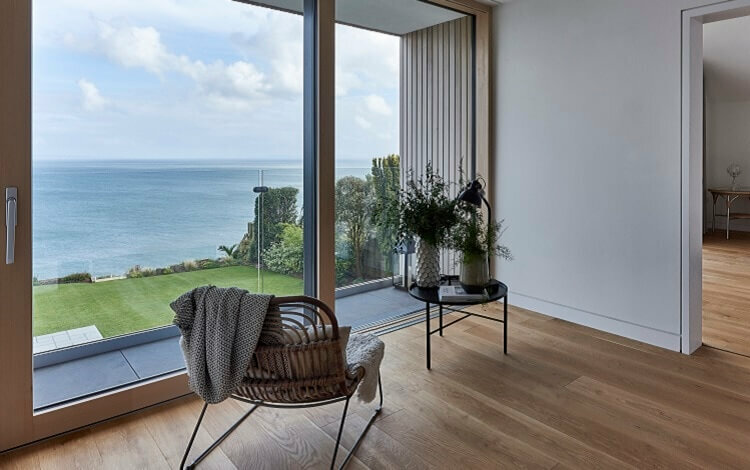 When Ann and Wyndham found their perfect plot near Tenby, Wales, they set about designing their dream home, which would later be called Shearwaters. 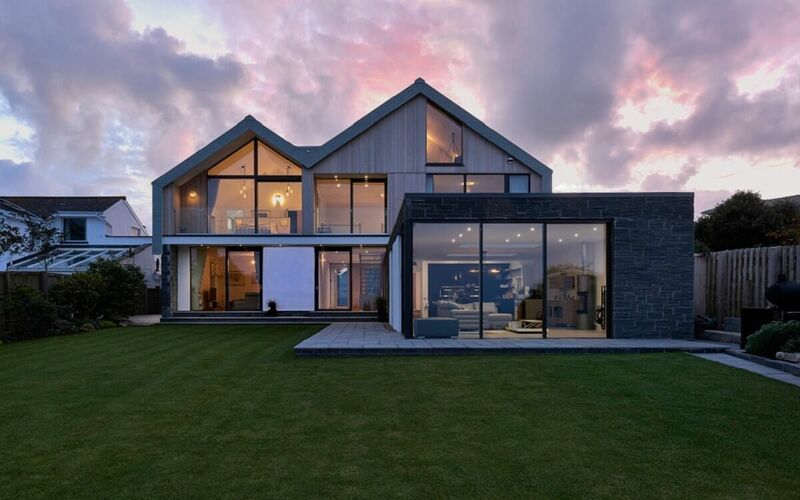 Having been heavily involved in – and impressed by – the design of their daughter’s self-build property in North Lincolnshire, they decided to use this as a template for their own build. 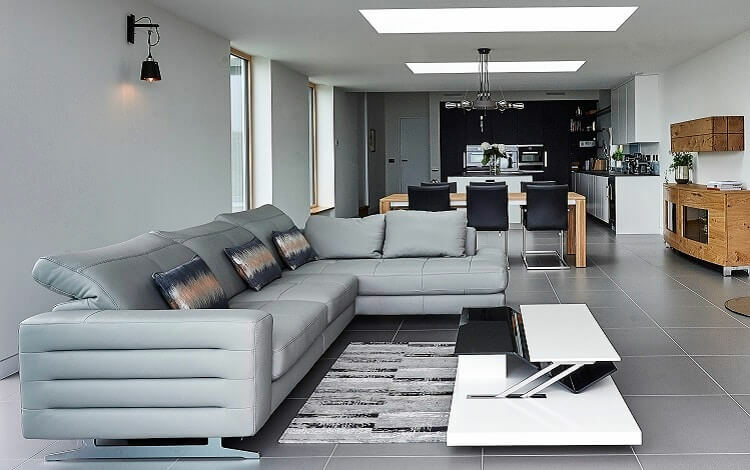 A stunning, open-plan, contemporary home, the property couldn’t be more different to the Georgian style house in which they previously lived, which Wyndham describes as having “lots of windows and lots of radiators – very restricted on space”. 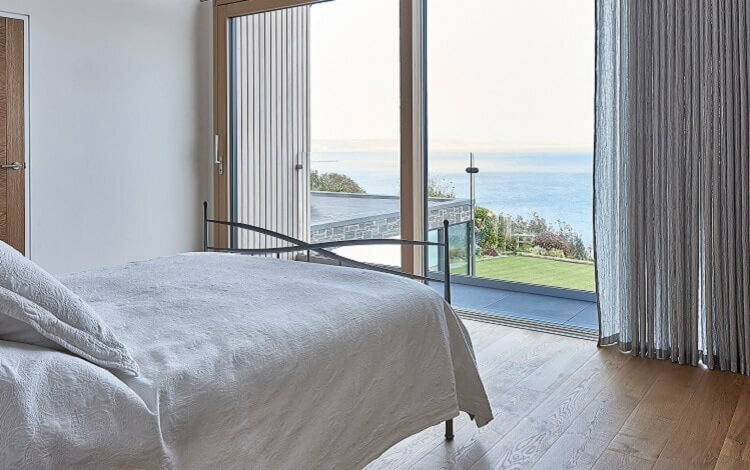 By contrast, Shearwaters is spacious yet cosy, with ceramic and wooden floors warmed by efficient Nu-Heat underfloor heating. “We originally met Nu-Heat at a self-build show and built up a good relationship with them,” says Wyndham. “We liked that they could offer a variety of solutions for different scenarios – and we have experienced a few of them between the three houses! 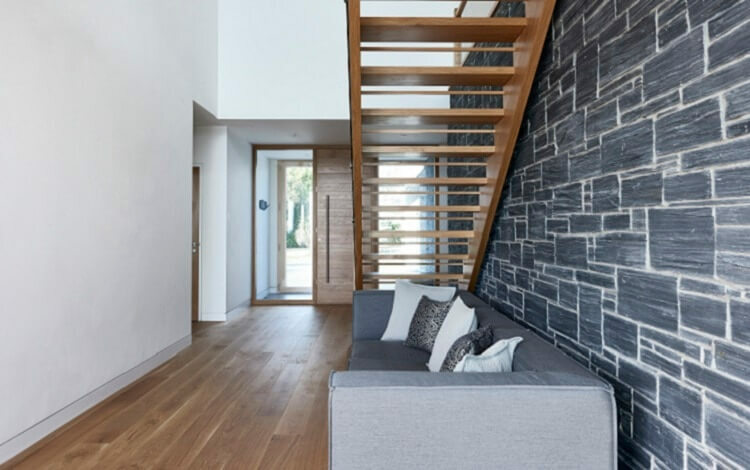 We have seen first-hand how Nu-Heat’s low-profile LoPro®10 solution made the most of the ceiling height and maximised space in our son’s renovated property, and know how much our daughter loves having underfloor heating throughout her home. 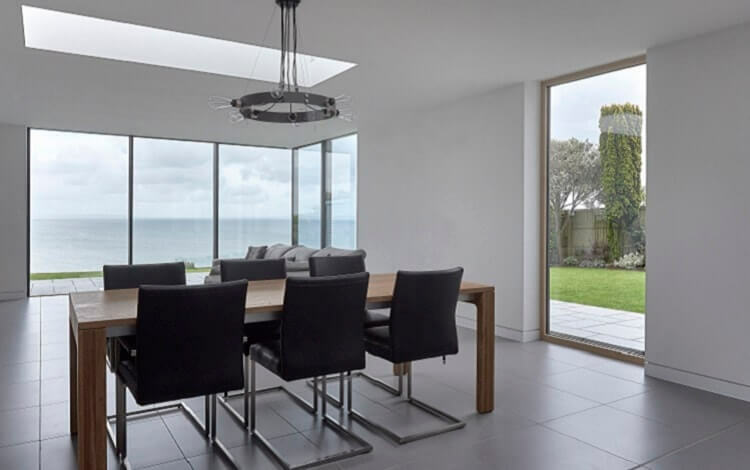 Nu-Heat created a bespoke solution for Shearwaters, which combined screed underfloor heating on the ground floor, and a floating gypsum board underfloor heating system upstairs. “It’s all about service at the end of the day. We found Nu-Heat’s prices to be very competitive – important when you are a self-builder – and the design drawings were sent through quickly. We love that we can individually control the temperature of each room, and can set the heating according to how we use the space. We can increase the temperature of guest rooms when we have visitors, and just keep them ticking over the rest of the time.